Sometimes, in spite of all the precautions you might have taken, an unexpected tyre blowout can still happen. The golden rule of any unforeseen circumstance while driving is to stay calm. A cool head helps you stay in control of your vehicle and avoids violent reactions that could make things worse. Your vehicle will be pulling in the direction of the burst tyre, so it is imperative to grip the wheel firmly with both hands to keep your car moving in the direction you want. However, preparation for moments like these actually begins before the blowout happens. You would not be ready to respond quickly to a tyre blowout if you were holding a cup of coffee on one hand, with your other hand resting on the steering wheel. It is reflexive to slam on the brakes in situations like these, but this is one of the worst things you could possibly do. Hard braking exaggerates the way your car is pulling towards as a result of the blowout; keeping your foot on the gas pedal preserves vehicle momentum and offsets it. You may even need to accelerate a bit more to make up for the drag pulling your car. 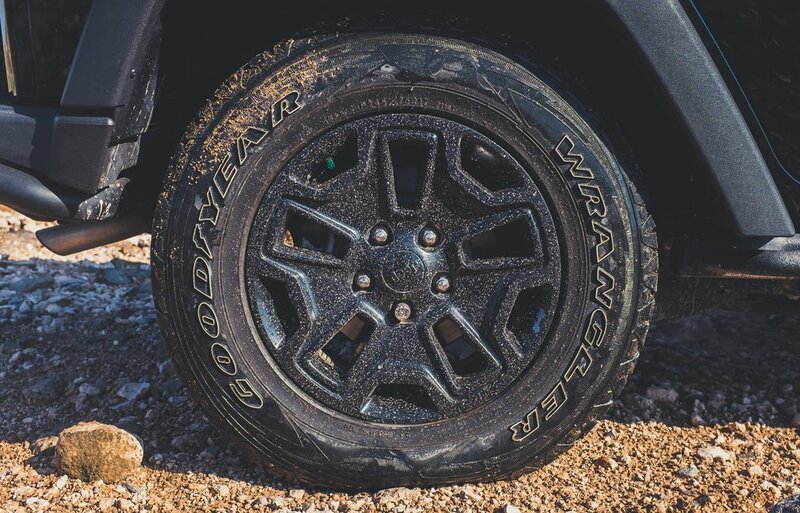 Keeping your wheels rolling is essential in maintaining control of your vehicle. If braking is necessary, apply it gently. A blown tyre means an imbalanced car, so any jerky movements could send you hurtling in the wrong direction. When you have regained control, ease your foot off the gas pedal to slow down gradually. As soon as it is safely possible, carefully pull your car over to the roadside and put your hazards on. Ideally, pull over with your blown tyre facing away from traffic so that it’s safer to change your tyre. Make sure that other motorists are aware that you are stationary by using your Early Warning Device. Place the reflective safety triangles at least 10m away from your vehicle, or further if you pulled over on a highway. Replace your blown tyre with a spare if you know how to and can do it safely. Remember that spare tyres aren’t meant for long distances, so drive to the nearest mechanic to have car properly assessed. Otherwise, ring for breakdown recovery and stand away from your vehicle, at a safe distance from the road.